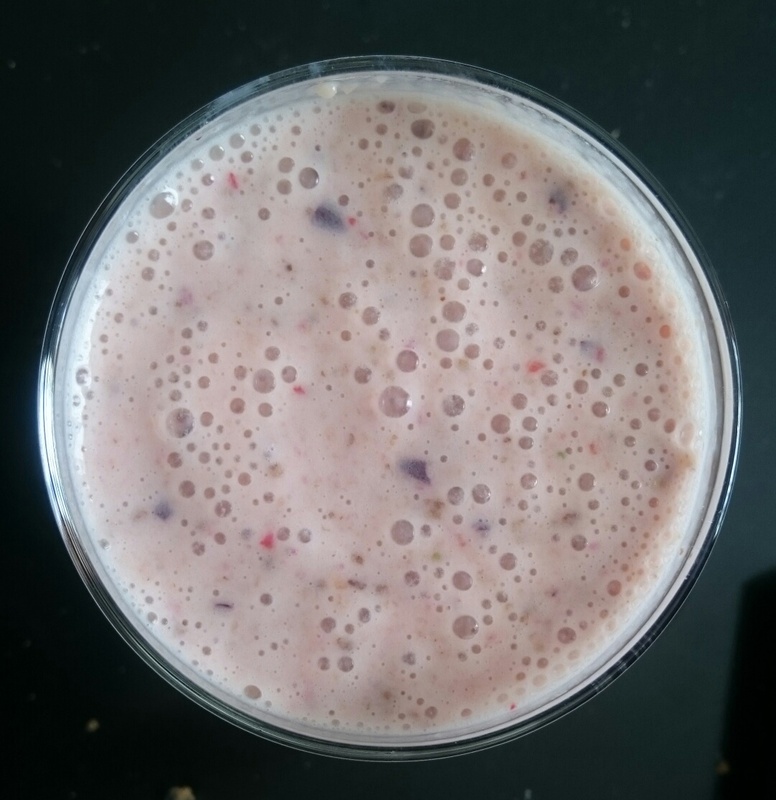 Smoothie #5 – Food. Boom. The emergency breakfast- make and drink immediately though, if you keep it too long the branflakes go a little gluey. Splurge it: use Greek yoghurt or sub the branflakes for a tablespoon of muesli.